Retirement can be an exciting time in your life. You’ve completed your life’s work, and now it’s time to reap the rewards of your efforts. Thinking about retirement is not only for those of retirement age. Saving for retirement is best started early. Here are five tips to help prepare you for retirement, whatever stage in life you may be in. That’s right! Ideally, you should start saving for your retirement in your 20s. This gives you the maximum amount of time to invest into your retirement and form a solid foundation of discipline for managing your finances. Retirement is one of the great experiences in life. Solid planning early on can ensure that your retirement is enjoyable and that you’re able to financially sustain it. Make a plan, create a budget, and begin investing as soon as possible. Monitor your accounts, make sure you’re contributing as much as you possibly can to each one. The 401k or 403b plans are offered by many employers. You can save up to $18,000 per year, and if you switch employers the account will roll over to your new employer. 401k plans are usually offered by for-profit companies, while public servants have access to 403b plans which include contributions by the employer. A solo 401k is available to sole proprietors, and you can make contributions to this account as an employee of the business and as an employer. A SEP IRA, or simplified employee pension, is used by small businesses. You can contribute up to 25% of your income or up to $53,000 to this type of account over the course of the fiscal year. If your business has employees, you will have to make contributions to their accounts if they meet certain requirements. A Simple IRA is a simple savings account in which you can deposit up to $5,500 per year. The money grows at a set interest rate completely tax free. Anyone can set up this type of retirement plan. You are able to contribute to a simple IRA and a 401k simultaneously. A Roth IRA is an account in which you contribute after-tax dollars, which get no extra deduction. You can withdraw whatever you’ve deposited at any time without tax obligation, and there’s no mandatory withdrawal age. A health savings account is an account offered by certain health insurance companies for medical expenses. The company will set aside money for you from your deductible payments in an HSA, allowing you access to healthcare when your medical expenses aren’t covered by your insurance plan. Whatever plan you choose, make sure you are contributing the maximum amount each year, if possible. You can really never have too much money, as you’ll need to account for things such as medical emergencies or sudden expenses along with your everyday spending. One of the biggest expenses of your life is bound to be your mortgage payment. Your house is more than just a place to take shelter however, it can actually provide you with equity that can be accessed later on. As with any loan, it’s important to pay off your mortgage as soon as you can, but especially before you retire. The last thing you want to worry about is making your mortgage payment when you’re not working anymore. 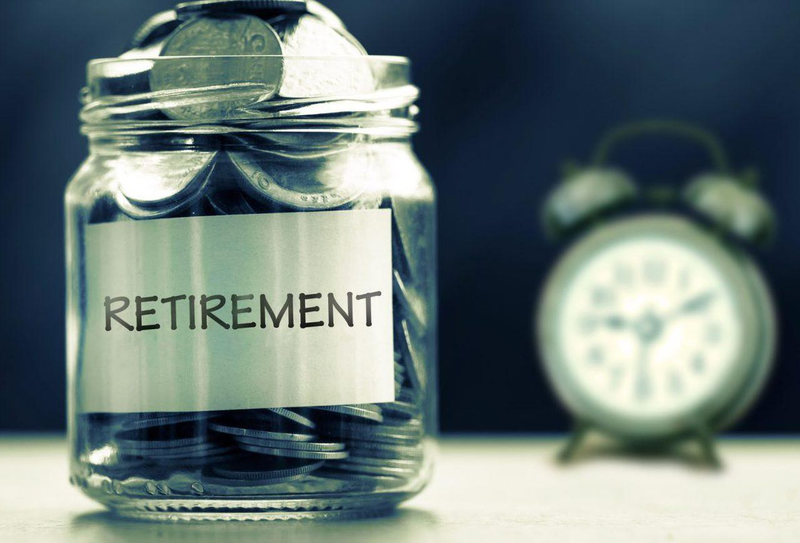 Pulling from your retirement savings for the mortgage can drain your accounts very quickly, possibly forcing you out of retirement to make the payments. Be sure to get your house paid for before retirement, and save yourself one more expense. If you need help managing or getting out of debt, there are many debt consolidation and settlement services online or in person. Find debt payoff tools on sites like Get Out of Debt, and start to take control of your debt before it’s time to retire. As much as we hate to admit it, prices rise on everything eventually. Fluctuations in the prices of goods and services, labor costs, and the value of the dollar all affect inflation. The amount you originally paid into your retirement fund may not be worth the same dollar amount it was forty years ago, or even ten or twenty years ago. Inflation is always changing, and the value of the dollar fluctuating. When investing in your retirement it’s essential to remember this fact. You may have to invest a little extra into your accounts, to ensure that your money will last for the duration of your retirement. Try to cut down travel and leisure expenses in your retirement to account for inflation. Enjoy yourself, but be wary of your spending. Your physical health should be a top priority at any point in your life. Health problems create complications and often are a drain on your wallet and savings accounts as well. Retirement is no different in this aspect. Medical bills can add up quickly, draining the money you’ve set aside for enjoying your retirement. Who wants to spend their retirement in a hospital bed or their entire IRA account on medical bills? Whether you’re 27 or 47, retirement is important to think about. Put a plan in place that’s right for you and start investing in your retirement right away. The peace of mind you’ll feel when the time comes to retire, and your finances are in order cannot be understated. Remember to save the maximum amount each year, monitor your accounts, and pay off large debts before you retire.